No two countries could be more opposite than Japan and Mongolia. The former is associated with high-tech industries and ultra-modern urbanization; it is the world’s third largest economy with a per capita GDP of $46,000. Mongolia is a relatively new democracy sandwiched between two authoritarian super powers: China and Russia; it is a nomadic hinterland with a per capita GDP of just $3,800. But Mongolia is also one of the world’s fastest growing economies with a projected growth rate of 13 per cent this year, and so these two nations are vital pillars in Asia’s growth as well as important partners and allies for the United States. Japan is Mongolia’s fourth largest export market, especially for rare earth minerals, and is a source of much-needed foreign investment and aid. This month the Mongolian Premier will visit Japan to sign a groundbreaking trade agreement that will bind the two economies even closer. In addition SMBC, one of Japan’s largest banking groups, recently opened a branch in Mongolia’s capital, Ulan Bator, to expand financing for firms engaged in resource development and infrastructure building. 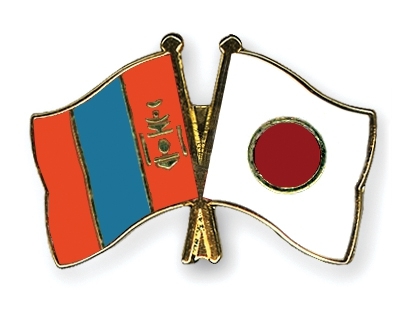 Due to its proximity and longstanding relationships with them, Mongolia also provides Japan (and the U.S.) a unique window of market access and geo-political insight into Russia, China, South Korea and especially North Korea. Both Japan and Mongolia enjoy an increasingly important relationship with the U.S. As our closest and longest standing democratic ally in Asia, Japan is a linchpin in America’s economic and political interests in the region. Mongolia is getting closer to both countries and recently hosted Khaan Quest, a multi-nation military exercise with the participation of over 1,000 peacekeepers from 14 countries including the U.S. and Japan. Geo-political imperatives require the U.S. to engage Mongolia for its vast access to markets and influence in East Asia. It is already a place for U.S. investments in alternative energy (like GE wind farms), and it has great potential for investments in infrastructure, health care, consumer goods, and small- and medium-scale manufacturing. Mongolia’s consumer market will also grow as the nation’s wealth increases. Finally, the U.S., like Japan, needs a stable supply of rare earths and other minerals from Mongolia. Fostering Mongolian and Japanese relations supports American interests in the region and aligns U.S. companies closer to present and future growth and stability in Asia. U.S. business would do well by developing closer ties with Mongolia to gain access to markets not only there, but in Russia and China. Right now, this once-remote nation is one of the world’s best-kept investment secrets.